You are in the category of garden furniture. In the offer, there are different kinds of garden furniture, for example garden benches, garden sunbeds, tables and other. You can find there metal (cast-iron) or wooden garden furniture above all. You come into your own, whether you are looking for antique garden benches, sunbeds, tables and other garden furniture restored and unrestored and replicas. In case that you are looking besides garden furniture for garden summer-houses, fountains or garden vases, we recommend you to visit the category of garden decoration and accessories. 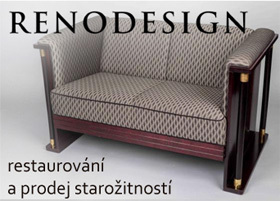 Garden furniture on the website czech-antiques.com is offered by stores or individuals from throughout the Czech Republic.